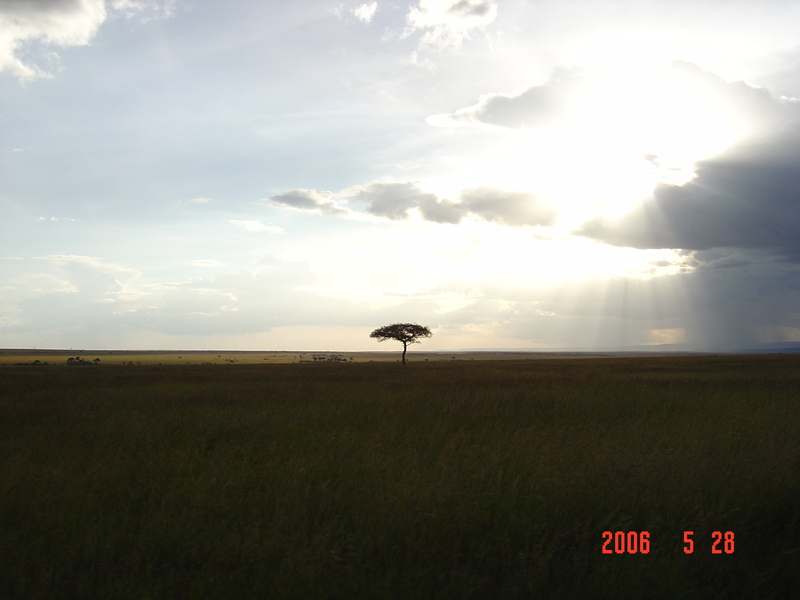 As little girls, my sister and I always dreamed of traveling to Africa someday. We relished in the idea of a grand adventure to a place we both loved and felt connected to. We dreamed of all the majestic animals, the endless natural beauty and the joy of exploring it all for the first time, in the presence of one another. Many years passed, yet we always held fast to this dream, not knowing how or when it would happen, only that it would someday. 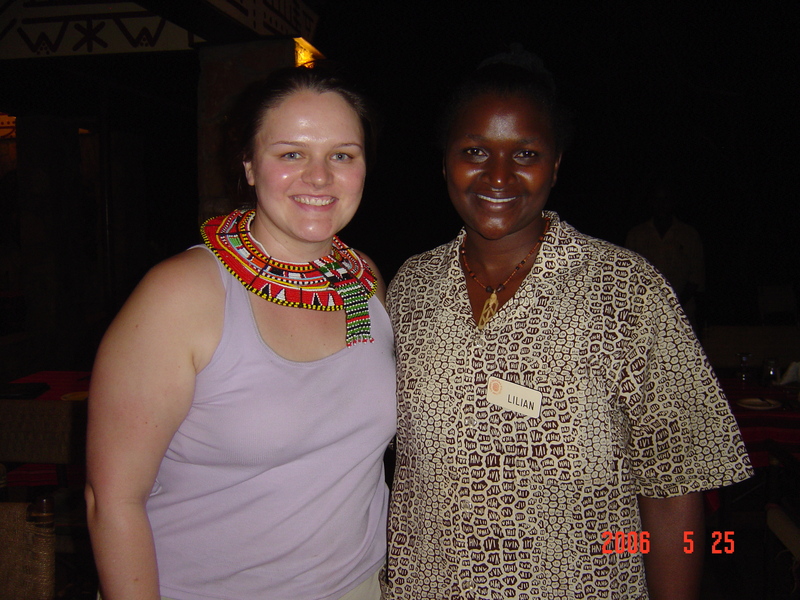 My sister, Catalina and I.
I was thrilled in 2006 when my job decided to send me to Kenya to lead a group of travel agents on a 10 day safari. My elation quickly turned to heartbreak when I realized that my first journey to Africa would be without my dear sister. I felt awful, like I was betraying our childhood dream and it was out of my control. We talked about it and as with all things in our lives, she supported me. She said if I found someone to give the jewelry to, that I should. I thought this was very thoughtful, but how was I going to walk up to a stranger and tell them, “Here, have a necklace my sister made”. Either way, I was taking her thoughts and a piece of her with me to the place we dreamed of so many years before. 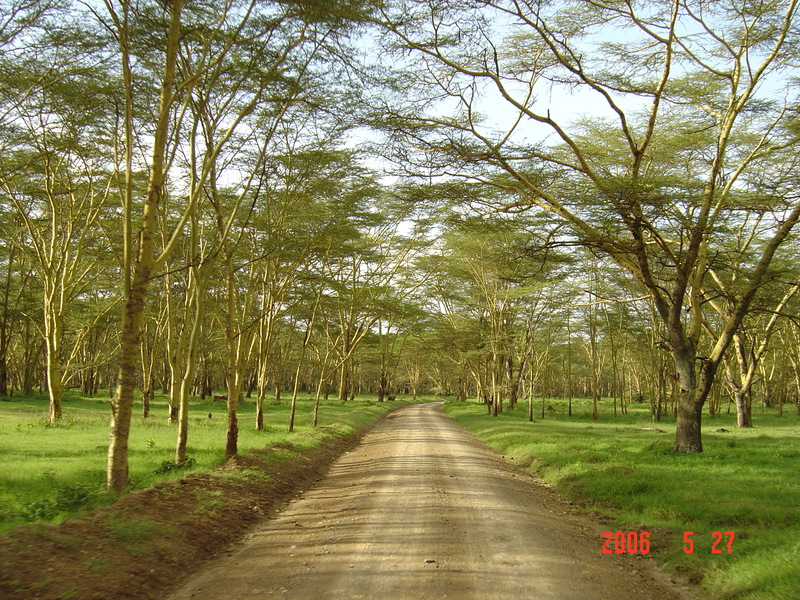 I absolutely fell in love with Kenya. I connected to it in a way that I can not describe with words. I felt like I was home. It filled my soul and my heart. As the crisp air filled my lungs and the sun shone on my face, I knew I was exactly where I was supposed to be. Somehow, my soul had always been here and I was finally reuniting with it. While I was basking in the love I was feeling for this wonderous place, there was a heaviness in my heart and longing for my sister to be with me. 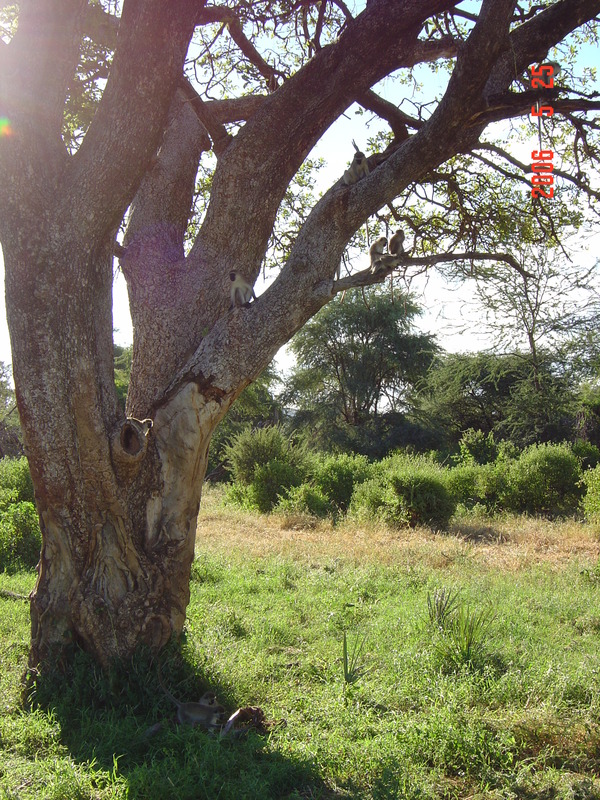 We were a few days into the trip, in the arid, acacia dotted landscape of Samburu. I had a break from the group and was sitting on the patio of my room and the tears just fell. They fell because I missed my sister, because I wished she were there and because I felt my immense love for her. Figuring I wouldn’t be giving her jewelry away, I decided to wear it for the remainder of the trip, so that it would soak up the African sun and the breeze would dance across the necklace and bracelet, instilling it with the energy and magic I was experiencing. As I stood up and peered out of the safari vehicle on the game drives, it wasn’t only me viewing the animals and landscape, my sister’s spirit was also gazing upon the glorious sights. 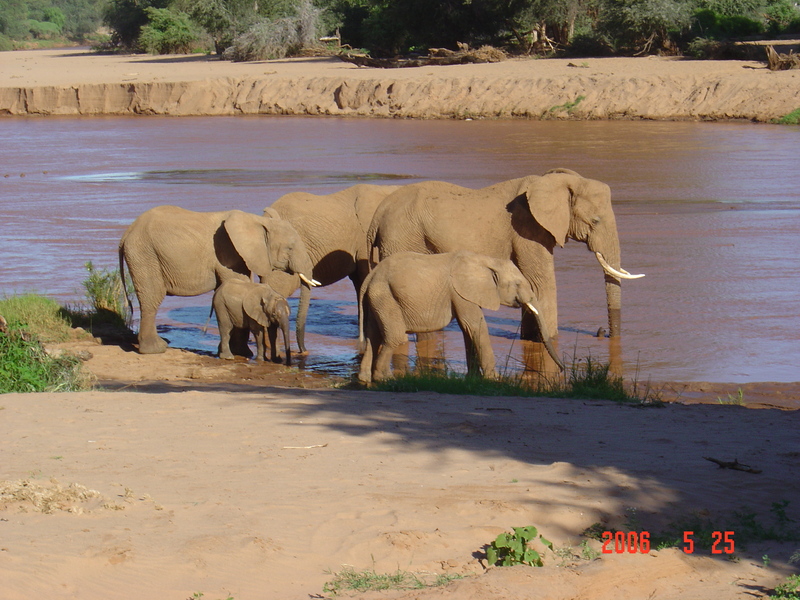 We spent a few nights in Samburu at the same lodge. One of the evenings we watched a dance performance by the Samburu tribe and afterwards they were selling their handmade jewelry. A fellow traveler and I both purchased very large, traditional beaded necklaces and wore them to dinner. One of the staff, who was helping our table that night, told me she had a smaller version of the necklace in her room and that she would bring the next evening. I assumed she was speaking to the group and was looking to sell it, so we said ok. The following evening, after we ate, she brought out the smaller beaded necklace and handed it to me. I told her I would buy it and she said, “No, it is my gift to you.” I was floored. Of course, she could have used the money or could have gifted it to anyone at our table, but she gave it to me. Without asking or prompting. Just because her heart told her to. I couldn’t believe it. This was the universe aligning, providing me the opportunity to give my sister’s necklace away. 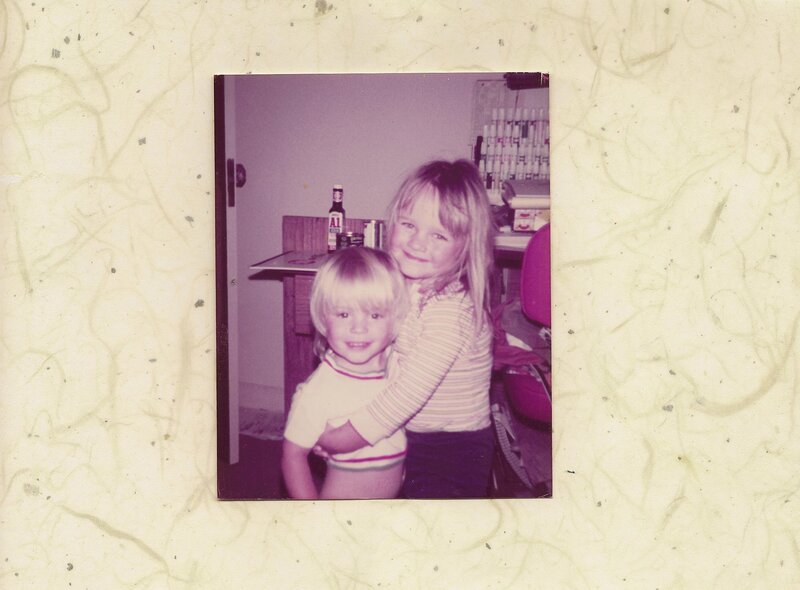 I had told no one about my sister or our childhood dream or that the necklace I was wearing that evening, that she crafted with her own hands, held so much more meaning to me than just a piece of jewelry. In a beautiful, unplanned, magical moment that only I knew the deepest meaning of, she and I traded necklaces. The kindness of a stranger, prompted by spirit, allowed me to honor my sister from the other side of the world. Lilian and I, after we traded necklaces. As if this wasn’t enough confirmation that the Universe was listening to the intention of my sister and myself, the young woman who gave me this priceless gift, was the namesake of my sister’s daughter, Lilian. It was a moment that I could not have planned or even dreamed of. All I had to take on this journey was my love and my intention and the rest unfolded before me. Having experienced this miraculous event in Samburu, I felt it fitting to bury my sister’s note and bracelet in the earth there, so that part of her would forever be on African soil. When I returned home, I placed the necklace from Lilian around the neck of my beloved sister and knew that our dream had come full circle.